The US is suing BP and eight other firms for allegedly violating federal safety regulations in connection with the Gulf of Mexico oil spill. The lawsuit asks that they be held liable without limitation for all clean-up and damage costs. The Deepwater Horizon drilling rig explosion in April killed 11 workers and spilled millions of barrels of oil over several months. 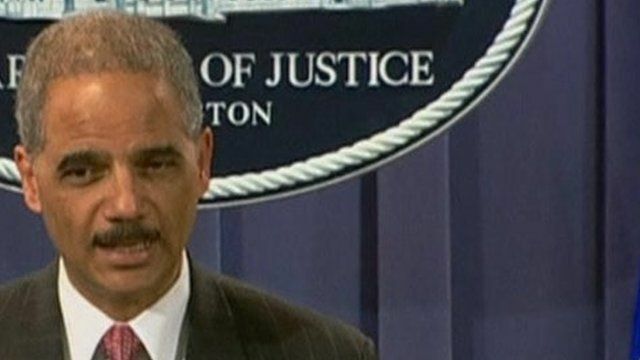 Attorney General Eric Holder said the US would hold those named in the lawsuit accountable for "violations of the law". BP released a statement saying: "The filing is solely a statement of the government's allegations and does not in any manner constitute any finding of liability or any judicial finding that the allegations have merit".